With all the wonderful cosmetics out there, it is sometimes difficult to figure out which items to save on and which to splurge on. Well today we are going to help you and give you a solution to your problem. 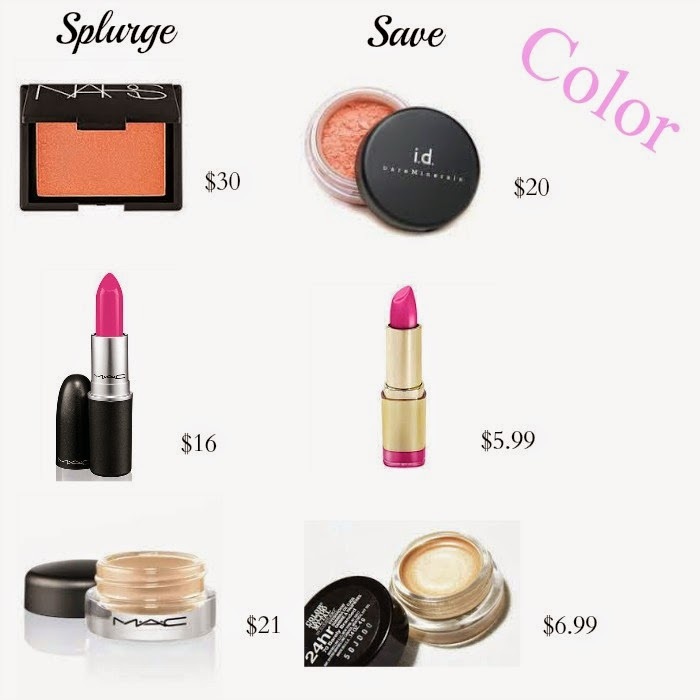 We have charted our favorite splurge vs. save cosmetics by category so you can look great and save money all at the same time! 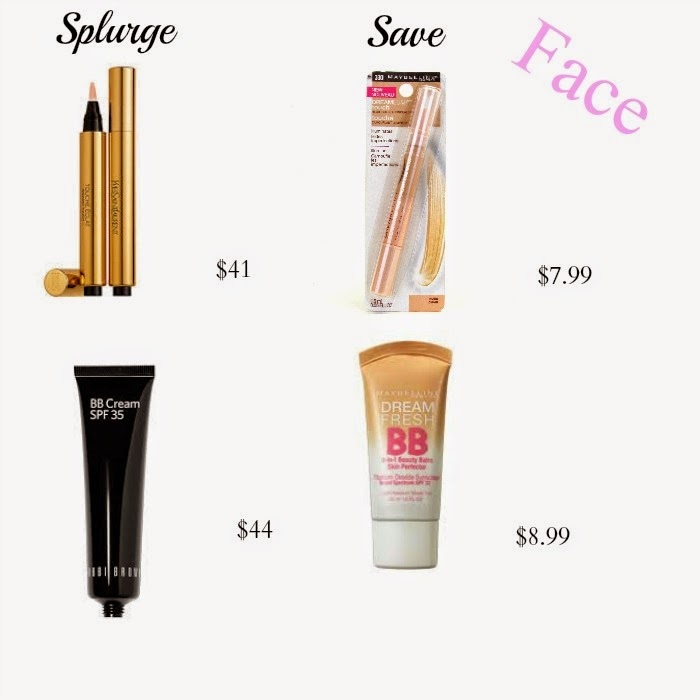 Which items are you willing to splurge on and which item is your favorite? i usually don't splurge on mascara--there are just too many good drugstore ones out there. It def is a great option. I have been using setting powders for a while and I don't know what I'd do without it! Palettes are a great splurge! ELF actually also has some great palettes that I love! ahh i love this!! it's crazy how many similarities you can find in drugstore cosmetics. I have the Mac Fix+ and I like it but when it runs out i am trying the elf version to see how I like it. milani is like my favourite lipstick - seriously, love them! Yes! Def a fave of ours too! Oh I love that Bobbi Brown BB cream! I received a sample of it in one of my subscription boxes and have been hooked ever since. Love post like these. Most of my makeup is MAC especially lipsticks because I just love those so I dont skimp there but eyeliners and lipliners and even BB creams? I definitely do the drugstore deals. MAC is one of my faves too. It is crazy how many dupes are out there that are just like the designer brands!